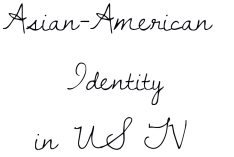 Asian American identity is already an interesting yet tricky topic of discussion; Asian American television in the U.S. is even moreso. Acting roles for Asian Americans have traditionally been scarce, with the most early famous in Hollywood being actors like Bruce Lee, who appeared in several childhood roles in the 1940's before abandoning Hollywood in the 1970's. Star Trek and Happy Days both had Asian supporting roles, and 1976 sitcom Mr. T and Tina focused on a person of Asian descent. Nevertheless, the roles and representation for Asian Americans was lacking. Particularly pointed was the cancellation of TV series All American Girl, led by actress Margaret Cho, after only one season. In fact, several note that Asian-American TV shows have been squashed throughout U.S. history. ABC's Kung Fun had a 3-year run, while another comedy show of theirs, Gung Ho, lasted only 9 episodes. Several other shows fell to the same fate, lasting two seasons at best, if they even aired. Thus, the airing of ABC's new sitcom, Fresh Off the Boat, is being praised as allowing Asians to be both Asian and American as well as being one of the breakthrough shows for Asian Americans, allowing them to gain visibility as leads and not archetypes or secondary and tertiary characters. Rather than having a single Asian American character is a predominantly white context, Fresh Off the Boat focuses on an entire Asian American family and their culture shock of moving from D.C. to Orlando.